Fleet of feet. Usually, I would post a photo of my Iberian Sport Horses galloping together, athletic and bold, but Edgar Rice Burro demands an equal opportunity. He says it isn’t about length of neck and push from behind. He says grading on the curve is the fair way. 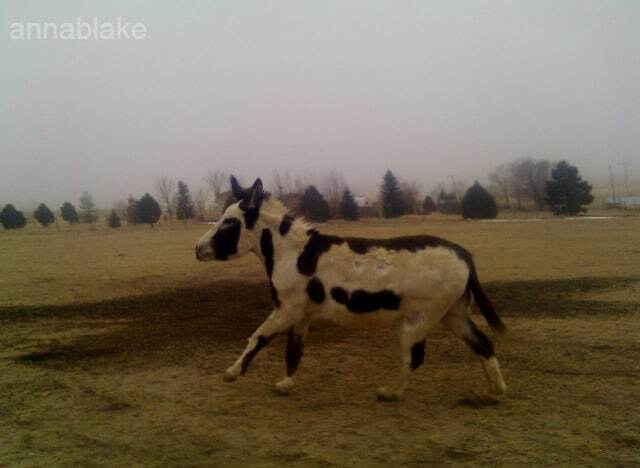 Edgar Rice Burro, in a fleeting moment of canter. Feel the white. hot. speed. ← Rescued by a Horse.